The advanced new combination of the Argonite inert gas fire suppression system and the innovative and patented C60 Controlled Flow Technology, has given the world the Argonite C60 system. The Argonite C60 system has been designed to safeguard your company's assets, making it a sound investment, both for now and the future. Stringent demands made by environmental and fire safety regulations have been met by the Argonite C60 system, while continuing to make real savings in overall system costs. The Kidde Argonite C60 system is an evolutionary advance in the Argonite inert gas fire suppression system range. 60% reduction in peak mass flow. 60% reduction in enclosure pressure relief venting panel and area of aperture in the enclosed wall and therefore real savings on vent installation costs. Vent size can be accurately determined at the quotation stage of a project instead of relying on hydraulic flow calculations. 60% reduction in noise (vibration during discharge) for reduced effect on sensitive electromechanical equipment. 60 bar outlet pressure allows the maximum possible fl ow and therefore the use of smaller-diameter pipes in the distribution network. Elimination of high-pressure manifolds and restrictors for single zone systems without reduction in discharge nozzle pressure (60 bar). If more than one area in a building needs to be protected, there is no need to install several systems. A single bank of cylinders can be stored remotely from the risks with directional valves to divert the gas to where it is needed. 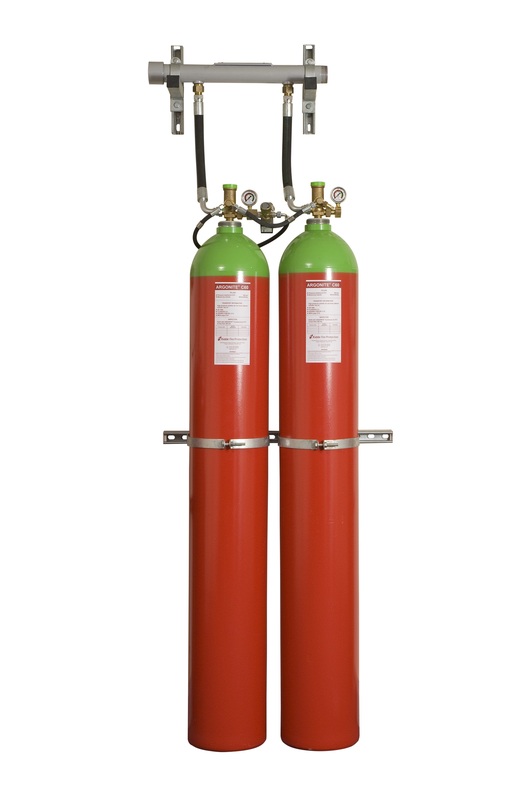 Up to 60 cylinders may be actuated from a single high performance release unit. Easy to install with minimal risk and reduced installation time. The release pressure is initially high and steadily declines during the discharge, when an ordinary inert gas system is activated. The pressure in the protected room is maintained at safe and acceptable levels at all times due to the system design which includes pressure regulators or controllers and over-pressure venting. 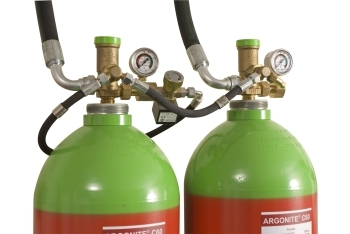 The Kidde Argonite C60 System is a major advance on ordinary inert gas fire suppression systems. Significantly reducing the peak mass flow, the Argonite C60 system uses an innovative cylinder valve assembly that releases the gas at a lower and more controlled flow rate throughout the discharge.